The New Jersey Board of Public Utilities eliminated the use of production estimates for systems less than 10 kW. A revenue-grade production meter must be installed by November 30, 2012. SREC certificates will not be issued without the revenue-grade meter. Refer to the notice from the NJBPU here. Many systems were built that did not have these requirements at the time of installation. We recognize the urgency of our customers to comply with the new regulation. We will provide all products and services required to install and register your revenue-grade production meter. Please contact us today at 856.232.6363 to obtain pricing and schedule your installation. 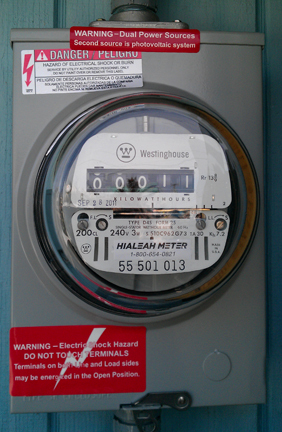 We are credentialed to install revenue-grade meters on any job.